Here’s a stylish noir update that offers a glimpse into the cool kid world of late-aughts NYC, a landscape of twenty-somethings searching for meaning (or something like it) in friendships, cheap lofts, and rooftop parties while the world fell apart around them, back when hipster was still a bad word. It’s a what-really-happened-back-then? thriller about a woman who unearths a video clip from her partying days which leads her to personally reopen the decade-cold case of her estranged friend’s suicide-that-was-probably-really-a-murder. The narrator flirts with unreliability (she was blacked out when said suicide-that-was-probably-really-a-murder happened), and the plotting’s just the right amount of twisty to scratch the ol’ whodunit itch. 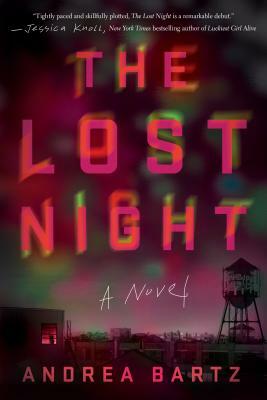 In The Lost Night, Bartz does what classic noir does best, offering a glimpse into the dark side - the unemployment and lack of prospects, the tense, strained friendships, and the drugs and oceans of Pabst - to reveal the secrets of a time and place gone by.